Reading and share top 1 Ross Raisin famous quotes and sayings. 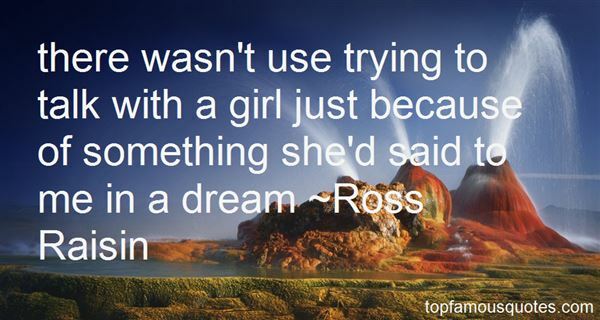 Browse top 1 most favorite famous quotes and sayings by Ross Raisin. It is like a piece of my soul had been lost, empty, and it is now filled with the light of a million stars."